You are not logged in to this site. Please login and enroll here! 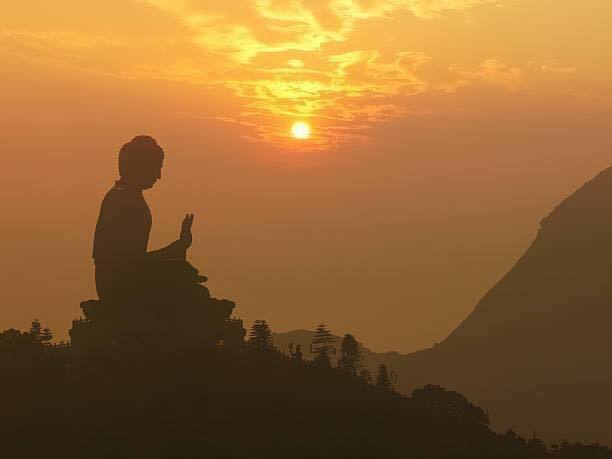 The Stages to Enlightenment Course is an excellent overview of the entire Buddhist path; all subsequent classes elaborate upon the ideas presented in this course as a part of our Mindfulness Teacher Training Program. You may join us at any time and you will not be too far behind as this is a foundational level series; however, each class does indeed build from the previous meeting. It would be preferable if you would review the preceding course, but not necessary. This Course is based upon the ancient Buddhist method to attain Awakening brought from India to Tibet almost 1000 years ago by the Indian Master Atisha with modern commentary by His Holiness the Dalai Lama. the relationship between karma and emptiness. This course was offered through our live interactive online classroom Zoom every Tuesday at 7pm EST with Michael Gregory and can be watched now in our HD Video Library. There are class quizzes and course notes provided. These courses are supported entirely by the generosity of its members. Please help support the continuation of these courses, the center, and our community by becoming a Sustaining Member (enter any amount you feel you can donate). If you are already a sustaining donor, we sincerely thank you for your generosity towards the teachings. You have chosen to donate $1,000.00 monthly. Enter your amount above; the number initially entered automatically is just a placeholder, you may enter any amount above $1. Your support is greatly appreciated. Enter the amount you would like to donate. Q: What does this course cost? A: As with all MMC programs, this course is offered by generosity only. That means there is no fee, but there will be a donation button on the course’s website if you wish to offer support for the teachers and the program. This is available due to the sustained membership of the larger MMC community. When you register for the course you will be given the option to make a donation. Q: May I watch from anywhere or start an MMC meditation and study group in my area? A: Yes, and we encourage you to do so.